I've been buried trying to finish editing wedding photos but emerged victorious from that the other day, so here are some overdue photos I took on the 4th, and a little on the 5th, of July. 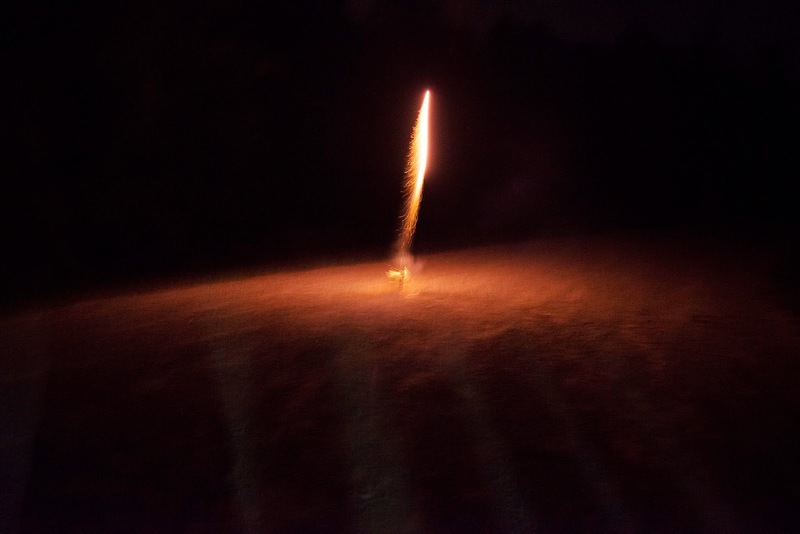 Myself, a roommate, a couple future roommates, and other friends went out towards Three Creeks to light off fireworks they had purchased. We set up some barbeques and enjoyed some burgers and hot dogs (not pictured). It was a solid celebration of the nation's independence. I enjoyed a shot or two I got on the fourth last year when I took my Pentax 6x7 downtown for the firework show, so I thought it'd be fun to shoot more this fourth as well. I also have a D800, which handles low lighting so much better than the D300s I had at this time last year, so I thought it'd be fun to see what I could do with it out in the woods. I feel happy with what I came out with. Murahd runs away after lighting a large rocket. Murahd and his girlfriend, Abby, light up sparklers together. 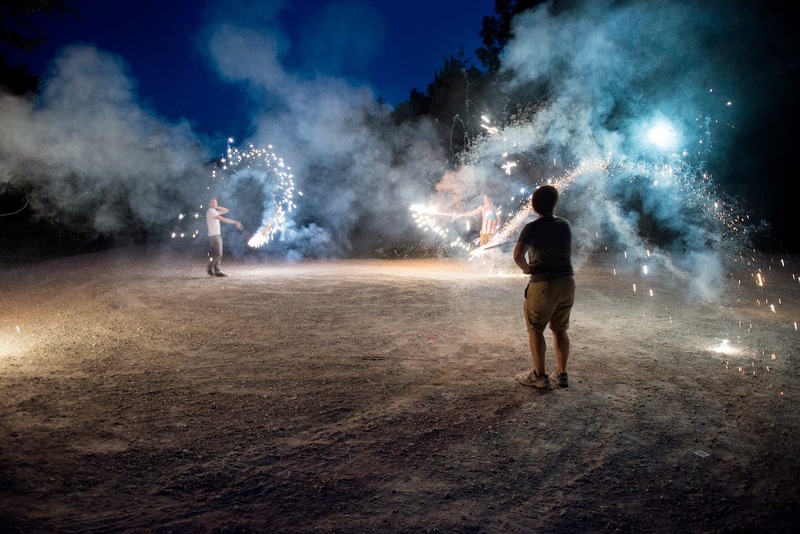 Robert does a dance with a fistful of lit sparklers.